SHEAC students had a group photo with SJM Theodore team principal Teddy Yip Jr., and Formula 3 drivers Esteban Ocon, Antonio Fuoco and Nicholas Latifi. Thanks to the invitation of SJM, representative of the donor of the College, students of Stanley Ho East Asia College (SHEAC) enjoyed the opportunity of a lifetime meeting the SJM Theodore Racing team and drivers at the exhilarating Guia street circuit yesterday. 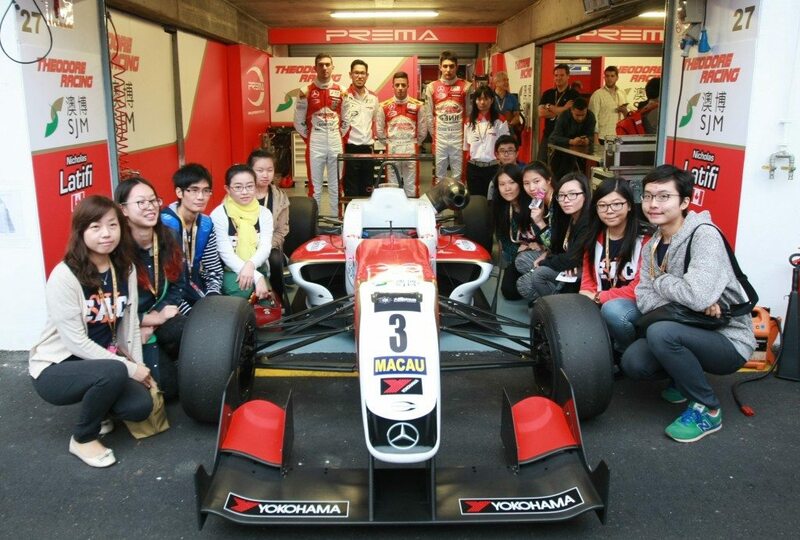 Ten SHEAC students met with Theodore team principal Teddy Yip Jr. and Formula 3 drivers Esteban Ocon, Antonio Fuoco and Nicholas Latifi as the Champion team return for their 2013 Macau GP title defence. The students felt very privileged and excited about the meeting, and enjoyed chatting with the drivers, who are about the same age. 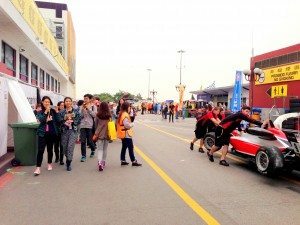 SJM hoped that the visit would help the students know more about and be proud of the Macau Grand Prix, a local experience that has been developed into an international sports festival. 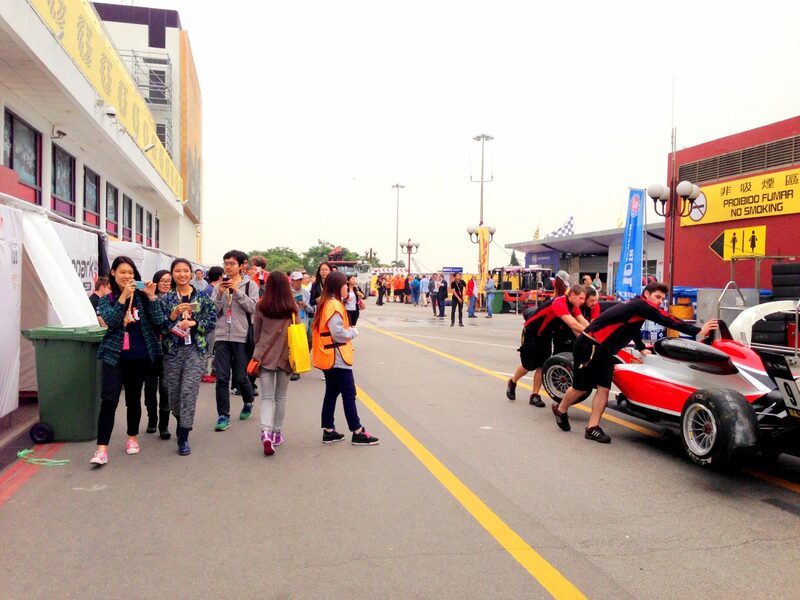 Students were excited about entering the paddock of Macau Grand Prix.